Car maker Toyota has announced that it will freely share almost 6,000 patents it owns covering hydrogen fuel cell technology. It said it took the step in a bid to drive development of cars that use the alternative fuel source. The announcement was made soon after it showed off its Mirai hydrogen-driven car in Las Vegas. Toyota is one of a record number of car makers attending CES to unveil new models or connected-car strategies. The patents will be made available free of charge to anyone wanting to use them. The patent portfolio covers fuel cell stacks, high-pressure hydrogen tanks, software control systems and the industrial processes involved in generating and supplying the gas. “When good ideas are shared, great things can happen,” said Bob Carter, senior vice president of automotive operations at Toyota in a statement. 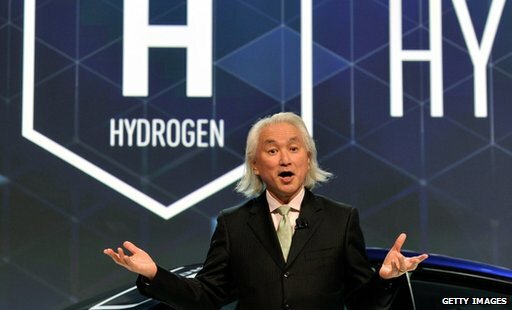 He added that the first generation of hydrogen fuel cell vehicles, which are expected to be launched over the next five years, would require “unconventional collaboration” among car makers, governments, power firms and researchers. While the infrastructure to support electric cars is slowly starting to appear in many nations, re-fuelling stations for hydrogen powered cards are much harder to find. By opening up its patents, Toyota hopes to boost the number of places that fuel-cell powered cars can fill up. The announcement was made soon after Toyota showed off its Mirai car at the tech show. The hydrogen-powered vehicle went on sale in Japan in December and will go on sale in Europe and the US in late 2015. Toyota’s move follows that of Tesla motors which shared its patent portfolio in 2014. A total of 10 car firms are attending CES in 2015 – more than ever before. Some, such as Audi and BMW, are showing off innovations that help drivers park, avoid crashes or which can take over behind the wheel when cars are on motorways or major roads. As a publicity stunt Audi is attempting to let a specially-made A7 drive itself 550 miles from San Francisco to the tech show. Test drivers and journalists will be passengers in the car and will take over when the vehicle passes through towns and cities. Audi said the “piloted driving” system in the car is almost ready to put in its production models. Volkswagen unveiled a gesture-controlled in-car entertainment and information system which used a 3D camera tucked into a compartment by the rear view mirror. This captures hand gestures activating buttons on touch screens between the driver and passenger seats. The Golf R Touch system enables people inside to open and close the sun roof by with a push gesture. VW’s new cars will also be connectable with smartphones via both Android Auto and Google Car Play apps by the end of 2015 in the US and Europe, said spokesman Peter Thul. 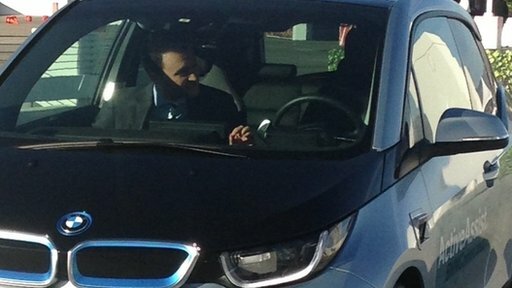 It is also continuing to work on autonomous driving and parking technology, he added. 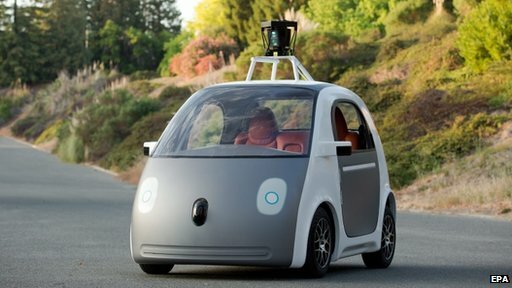 The presence of so many auto makers is seen as a response to the number of tech firms that are steadily aiming to get their innovations into cars or, like Google, produce their own autonomous vehicles. At its press conference, Nvidia talked about its Tegra X1 processor, which it claims will have the power to handle the computational needs of futuristic autonomous cars. Processing units it demonstrated will be analysing data from sensors or processing images that appear on screens inside a car to help a driver or to entertain passengers. In addition, Qualcomm showed off a concept car powered by Android 5.0 that handles entertainment and keeps an eye on what is happening on the road.